Primal puzzle cool. And Primal extraction ? The thing about the grind is that it has to reasonably pay off.True. Ancient/primal puzzle more rewarding, cool. And how about the primal legendary power item extraction ? The primal version shoud be more rewarding.Primal/ancient legendary power extraction = give a new result.-----------------------------------------------------I dont know what could be done. Maybe we extract legendary power and one secondary affix also since they don't increase much damage.What do you guys think it could be done for primal/ancient legendary power extraction version ? Think we'll see more PTR updates/items? 04/16/2019 04:14 PMPosted by PhoenixForceDH and barb really need someSurely. Starting with shields. They need to block more. They just boost Damage Reduce. Increase damage reduce is too power creep. Boost more block damage by shields. When you boost DR game turn too easy. Arcane beans are made to dodge them. Nowadays people keep inside arcane beam without the hp decrease. This is the result from a lot DR buff. So do it right boost shield defense not DR. Create a second GR kind. Where we face just elite packs. So we would have to follow some mechanics (otherwise character straight die). So bots are not so intelligent they would not follow the right mechanics if you add 12-15 random mechanics. I would add a second GR portal where we just met elite monsters. With hard mechanic to do (so BOTs could not play this mode - bot do not follow complex mechanics) and there we get new rewards. 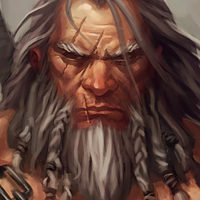 04/16/2019 08:35 AMPosted by XelNagaIvanI would like to see a pvp with pre-made character (may be a good time as class damage are close to even now, make need to look at damage reduction)I would like to see new builds for each classI would like to see character customizationI would like to see the power level of pro and casual become closerI would like to see better social interaction, e.g. trading and clan revamp[/quote]Adding.I would like to see primal item be more rewarding. Today if you get one junk primal it's just junk. Make something to turn this junk into a precious/rewardful stuff. 04/12/2019 05:03 PMPosted by dx125That will not save us from farming same primals over and over again.Each primal item donated to follower level FOLLOWER paragon point by 1. Follower now has until 500 paragon point. Done. 04/10/2019 08:13 PMPosted by IdolisBut if the rewards for T16 are increased, then it's mandatory to play T16 and like I said, it won't be long before more buffs are asked for.Not only that my padawan. Everytime you increase one torment reward you make the game easier and the season shorten. The guys break season in one week they want to break it into 3-4 days. So they rookiely ask for more reward.